Enjoy Your Carmel Weekend Planner Event With Old Town on the Monon Apartments! Happy Spring Holidays From Old Town on the Monon Apartments! 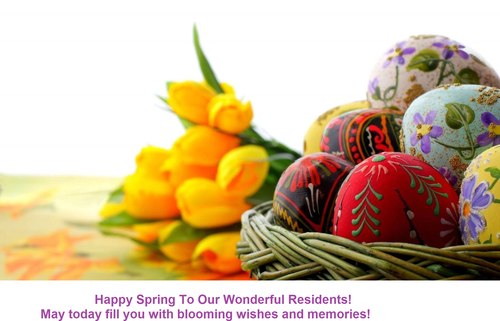 Wishing all our wonderful residents of Old Town a wonderful and joyous Spring Holiday Weekend! May today filled you with blessed wishes blooming in happiness! Please not the office is closed today to allow our staff to enjoy time with their families this Easter. We will reopen on Monday, April 22nd at 10:00am.